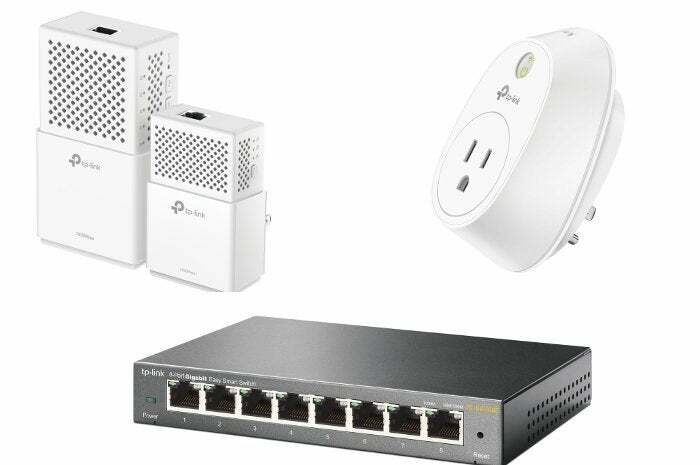 Get a TP-Link smart plug, Ethernet switch, router, and more on sale today at Amazon. Amazon is running a sale on all things TP-Link meaning today is a great day to make your home a little smarter and speedier. The sale ends just before midnight Pacific time on Wednesday night. There are a whole bunch of products on sale today including smart home devices, routers, and Internet switches. Here's a look at our top picks from the sale. First up is the Kasa Smart Wi-Fi Plug for $19.64, that's close to $10 off its usual price and the lowest we've ever seen. Like the smart light bulbs, the plug works with Alexa and Google Home, or you can control it with the Kasa app. It's part of TP-Link's no hub required smart devices, and also features energy monitoring to check how much electricity a device is eating up, and you can set times and schedules for the plug's operation. Our second pick is the TP-Link 8-Port Gigabit Ethernet Smart Switch for $24—a drop of about $14. This is the device's all-time low based on historical data, which it hits every few months. This basic switch lets you monitor traffic on your network, assign port priority to specific uses, and TP-Link says it can cut down on power consumption by up to 80 percent. Finally, the TP-Link 1000Mbps Powerline Wi-Fi extender is available for $64—a dip of $16 and another all-time low price that we've seen before. This is a two-pack kit to help improve Wi-Fi reliability in your home. It supports 2.4GHz (300 Mbps) and 5GHz (433 Mbps) bands, and the units have Ethernet ports as well. Those are our top picks, but Amazon's got a ton of TP-Link routers, as well as other range extenders and Ethernet switches on sale too. This story, "Amazon's one-day TP-Link sale offers up some killer deals on plugs, switches, and routers" was originally published by PCWorld.